Welcome to my beautiful, boutique yoga and meditation space. I provide a relaxed and intimate atmosphere, with less mats, so you get more individual attention as you move, breathe, and feel. Take and look at my class offerings below, and all the extra details you need to arrive and settle in. Mats and props are provided, but bring your own mat if you prefer. If you're NEW, come 15 mins early to register and meet up - there's no need to pre-book. EVERYONE arrive at least 5 minutes early to sign in and set up. Payment by cash or card, OR you can buy passes at the studio. Personalised sessions give you that little extra guidance and attention. Whether you’re an absolute beginner or an experienced practitioner who'd like extra guidance, inspiration, or challenge. we’ll work together on what you need. This means you'll feel the effects of the practice more deeply, and carry the experience into your day and relationships more readily. 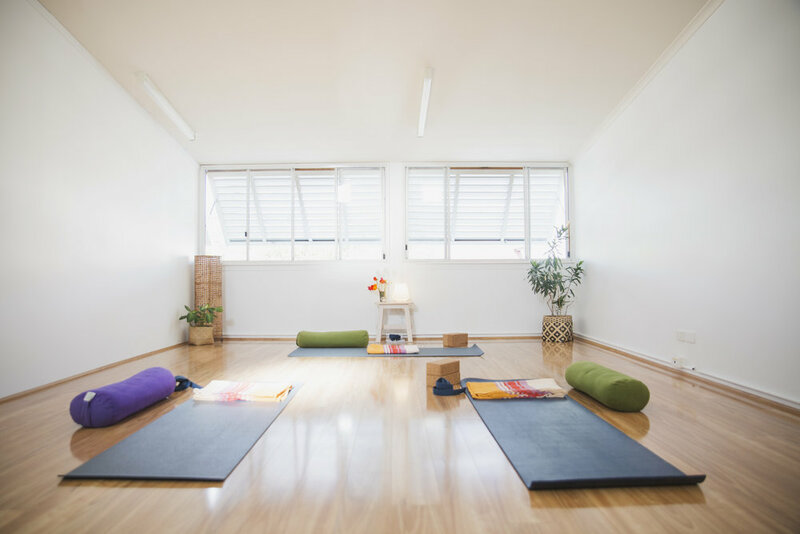 to get you started on a home practice of yoga, meditation or pranayama. to grow strength and confidence and flexibility and ease. focus and work on tricky poses with personalised alignment cues and adjustments. to learn how to use your yoga practice to release physical and emotional stress and tensions. yoga for anxiety or depression. Yoga practice will make you strong and flexible - inside and out. By bringing together breath, movement, and awareness, it will teach you to slow down, notice more and be present and responsive to each moment. As you start to ease and untangle your physical knots, you’ll ease and untangle your mental knots.